Sunflower Bank’s annual signature ABC Program has raised over $1.2 million since 2001 for local schools and students in its Sunflower Bank and First National 1870 communities. The market has moved down from late September 2018. The tech heavy NASDAQ has declined 20% from its recent peak. First National 1870 is proud to support many local organizations that give back to Santa Fe and Los Alamos. 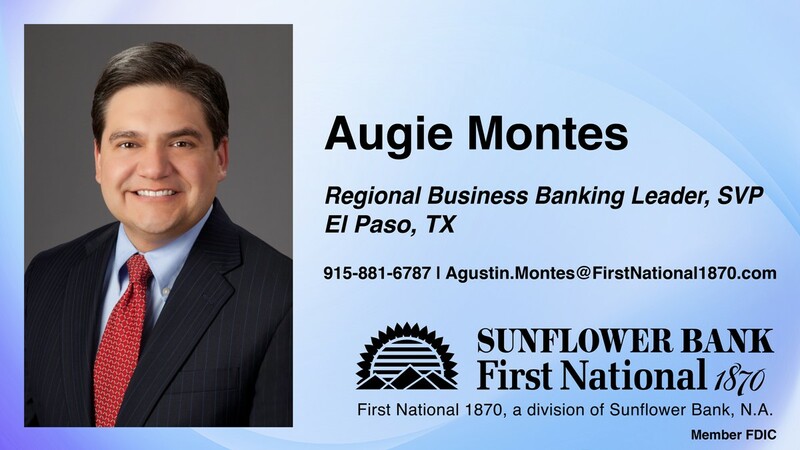 First National 1870 announces that Augie Montes has been named Regional Business Banking Leader, Senior Vice President.